I realize that for modern cars, 100,000 km (62,000 miles) is hardly a milestone to celebrate, but with my vehicle experience over the last 2 years, I thought it was important. I picked up this replacement Golf at 58,000 km in January 2014 and have now driven it spiritedly throughout Ontario, including some speed limit-free “drivers education events”. Naturally I knew I was going to cross the number on my weekend trip and inevitably missed the actual value (thanks TST podcast). 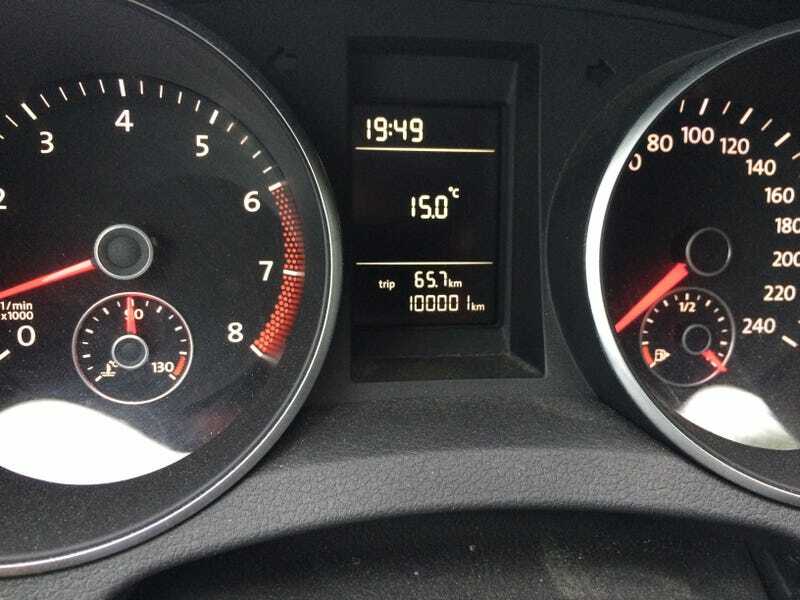 I would say “here’s to another 100,000” but in reality I hope I don’t have it that long because I want a GTI haha. How do I value a high-mileage car?